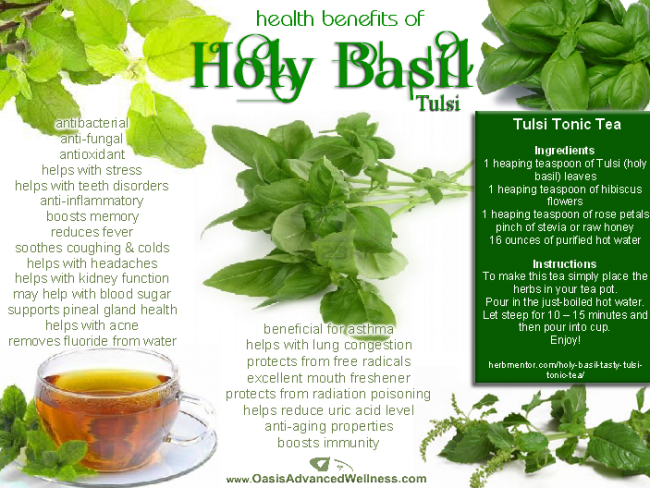 Holy Basil for Positive Energy ! The Sacred Space Room or the Holy Room should be in the Eezhan Zone, that is in the North East. The Kitchen, should be in the South East corner. The Master Bedroom should be in the Nirruthi Zone or the South West corner. And the Work Area should be in the North West corner. The place where the purse is kept should be in the North, as North is ruled by Kubera, the Lord of riches. Keeping Tulsi or Ocimum Sanctum in the house is considered auspicious. It will be ideal if Tulsi is before the front door of the house. Positive Energy can come in. Growing Aloe Vera in the house is very good for the influx of Positive Energy. Mind you, it is Brahma Vastu or Potential Energy which had become Kinetic Energy or Vastu, vastur eva vastu. Subtle Energy has materialised as Gross Energy. It is imperative that we keep our homes clean. Cleanliness is next to godliness. By adhering to the principles of Vastu Science, we can charge the house we inhabit with Positive Energy. Lighting agarbattis is good, in front of Deity, in the Sacred Space Room. Mantras should be chanted, so that the Sacred Room becomes charged with divine energy. We should not use this room for any other purpose. The auras and the vibrations of the mantras, of the people who meditate in that room, all hang around that room. The more mantras you chant, the more positive the room becomes ! Super Moon, the cause of Tsunami ? The Lunar Perigee ( when the Moon is closest to earth ) is called Supermoon and is believed to cause earthquakes and natural disasters. That Moon causes tides is well known and Supermoon may affect tides. On Mar 19, the Moon will be 221,567 miles from earth, the nearest point in 20 years. There were Superomoons in 55,74,92 and 2005 and these years were characterised by extreme weather conditions. Weatherman John Kettley said about the phenomenon on Mar 19th. "A moon can't cause a geological event like an earthquake, but it will cause a difference to the tide. If that combines with certain weather conditions, then that could cause a few problems for coastal areas." Astrologically, Sun will be at 334 degrees and Moon at 143 degrees. As a remedial measure, the mantra of the Moon Om Saum Somaya Namah can be chanted. Also the Gayatri mantra, as natural calamities affect the psyche of universal humanity ! Some astronomers, who decry Astrology, says there wont be much problem during this phenomenon of Extreme Super Moon. We are giving the Anti Thesis ( to the Astrological Theory of Lunar Perigee) here, the opinion of Pete Wheeler of the International Centre for Radio Astronomy. Wheeler stated, "(The Earth will experience) just a lower than usual low tide and a higher than usual high tide around the time of the event, but nothing to get excited about." "Remember in the past, planetary alignments were going to pull the sun apart. It didn't. Astrologers draw a very long bow most times. Normal king tides are about all I would expect out of this Super Moon prediction," he added. The Web world is in fact, influenced by the Super Moon phenomenon and this is very much evident in Google trends, a public facility of Google Inc, based on Google Search, that shows how often a particular search-term is entered relative to the total search-volume across various regions of the world, and in various languages. Within a few day, the Earth could be headed for a big showdown. Some experts also claimed that huge storms, earthquakes, volcanoes and other natural disasters will occur on Saturday, Mar 19. On the very day, the moon will swing around Earth more closely than it has in the past 18 years. Extreme Super Moon is the term coined by those who are well versed in the Art of the Nine Revolving Heavens ( Astrology ). Successive draughts, intense cold climate and floods have ravaged Bolivia. Let us hope that Kerala will not go the way of Bolivia ! That Bolivia is going towards a major Food Crisis has been highlighted by the Food and Agricultural Organisation of UN. 16000 cattle, 24000 hectares of wheat, corn fields etc will perish in Bolivia. Bolivia will not be able to absorb this crisis of a high magnitude. One fifth of Bolivia is stll reeling under the impact of Climate Change. FAO warns that all natural calamities except cyclones will have to be faced by Bolivia. The agriculturists are always affected by Climate Change. Traditional agriculture gets destroyed by intense rains or drastic draughts. The agriculturist lives in debt and dies in debt. He is forced to stop his agriculture or fall into the debt trap ! That which is happening in Bolivia may happen in India and Kerala. Normally Libra rains start in the evening, drizzle at night and before dawn stops raining. Now the climate patterns have changed and intense rains destroyed 5000 acres of paddy fields this season ! All seeds were destroyed and Keralites had to go to Madras to get the seeds. If the earlier patterns were followed - bright sunny days after the intense downpour - then the water would have drained itself from the paddy fields. Heat also has changed its patterns. It is now 40 degrees at Palghat and the lowest temperature recorded is 22 degrees. In Nilgiriis, rising heat has created red spiders . 8% crop has been destroyed as a result. Red spiders attack the tea plantations which are devoid of huge trees. There are many paddy fields in Kerala which does not produce, despite the intense work done by the agriculturists. In Alleppey Dist, when temperature rose 1.8 degrees, there was a reduction in weight of the produce. The rising temperature during the months of January, February and March was the villain. The rice fields of Trichur and Palghat were also considerably affected. Pepper cultivation is also affected. Weight also comes down. Also cocoa, tea etc in the highlands. In 2004, cocoa produce came down by 39%. Rubber produce declined by 3.8%. . In Kottyam, the highest temperature recorded was 33.3% and now it is 35% ! Because of intense heat and cold, more funguses made their way into rubber. Cashew has also been affected adversely by Climate Change. There is a drop in the produce by 30%. Kerala, which was first in cashewnut production, is now only fourth ! Palghat Dist, bordering Tamil Nadu, looks like the hot TN !. 41 degrees have been reported as the highest temperature. If you go to Chittoor in Palghat, you will come to know how different Palghat looks than the rest of Kerala. Paddy cultivation has come down in Palghat. Palghat gets more North East Monsoon than South West Monsoon ! Sun transits Delta Scorpi and rains galore ! Meteorology may say it is a depression in the Bay of Bengal called La Nina which is responsible for the rains, but to those well versed in Astro Meteorology, it is the Sun's transit of Scorpio and the constellation of Delta Scorpi, which is the cause, as heavy rains lashed Trichur. From 0500 PM it was raining till 1100 PM, when I went to sleep. According to Meteorology, La Nina is a coupled ocean-atmosphere phenomenon of El Nino, as a part of the El Nino Southern Oscillation Climate pattern. La Nina is defined as the dialectial opposite of El Nina ! These depressions happen only during the Monsoon season, when the Sun transits the constellations from Eta Tauri to Alpha Scorpi ! So Astro Meteorology is right ! Why do these depression not happen during the summer season? Climate Change, triggered by Global Warming, is creating havoc throughout the world. Sea levels rose by 1.8 mms from 1961 to 2003. All snowy mountains are melting. Co2 levels are increasing. Forest fires increased. When hot air creates lightning, forest fires are more. More cyclones and thunderstorms. Extreme climatic patterns are produced. More floods and more draughts than usual. A great book for Numerology students !